The terms Machine Learning and Artificial Intelligence are often used interchangeably by people. However, there are stark differences between the two that are still unknown to the industry professionals. As our header suggests, Machine learning is a subset of AI, which means all ML is AI but not all AI is ML. 1 What is Artificial Intelligence? 2 What is Machine Learning? 4 How do Virtual Personal Assistants work? Artificial Intelligence is a fusion of two words, “Artificial” and “Intelligence”. Artificial, which means something made by a human or a non-natural thing. Intelligence, which means the ability to understand or think. Artificial Intelligence is not a system but is implemented in the system. There were two breakthroughs that led to the emergence of Machine Learning as the vehicle which is driving AI development forward with great speed. One of these was when Arthur Samuel realized that rather than teaching computers how to carry out tasks, it might be possible to teach them to learn by themselves. The second was the emergence of the internet which lead to a huge increase in the amount of digital information being generated, stored, and made available for analysis. These breakthroughs made engineers realize that it would be more efficient to code machines to think like human beings rather than teaching them how to do everything, and then giving them access to all of the information in the world. Hence, Machine Learning evolved. Summarizing these definitions roughly, we can say that AI is the science where a computer algorithm does the intelligent work whereas, ML is a part of AI that learns from the data and previous experiences allowing the computer program to change its behavior accordingly. Works as a computer program that does the smart work A simple concept where the machine takes data and learns from it. Leads to intelligence or wisdom Leads to knowledge. Develops a system to mimic human response in different circumstances. Creates self-learned algorithms. The aim is to increase the chance of success, not accuracy. The aim is to increase accuracy. 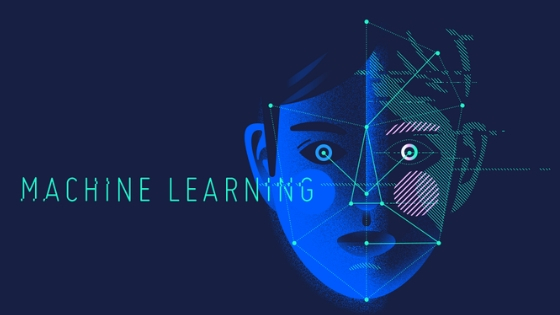 Both ML and AI have created a buzz worldwide since they have changed the face of technology with a plethora of applications. One of these applications is the Virtual Personal Assistants like Siri, Google Now, and Cortana, who have been our friends from quite some time now. How do Virtual Personal Assistants work? The virtual assistants are intelligent digital personal assistants on different platforms like iOS, Android, Windows etc. Virtual Assistant is an application program which understands human voice commands and completes tasks requested by them or even answers their questions, like “What’s the temperature outside?” or “Where is the nearest shopping complex” etc. The assistant reacts by searching for information and then transferring that information from the phone or sending commands to various other applications. Artificial Intelligence is critical in these applications, as they gather data on the user’s request and utilize it to perceive speech in a better manner. This serves the user with answers that are customized to their inclination. Microsoft says, Cortana “consistently finds out about its user” and it will, in the end, build up the capacity to anticipate users’ needs and cater to them. Virtual assistants process a tremendous amount of information from different sources to find out about their user and help them arrange and track their data. Machine learning is an essential part of these assistants as they gather and refine the data based on the user’s past participation, and this is what we call, learning with experience. Thereafter, this information is used to render results, custom-made to the user’s inclinations. And with many more applications like these, AI – and in particular today ML certainly has a lot to offer. With its promise to automate monotonous tasks and create creative insight, every sector in the industry, like banking, healthcare, manufacturing etc. are reaping the benefits. AI and ML are sold consistently and lucratively as they have drastically changed the way business is done across all industry sectors. They have brought a lot of transformative changes in Information Technology. The fact that we will eventually develop human-like AI has often been treated as something inevitable by technologists. Certainly, today we are closer than ever and moving towards that goal with accelerated speed. Much of the exciting progress that we have seen in recent years is due to the fundamental changes in how we envision AI working, which have been brought about by ML. I hope this piece helped you understand the distinction between AI and ML and what value do they hold in the industry.